I eat seafood. I like seafood. But my body doesn’t like seafood at all (skin asthma). 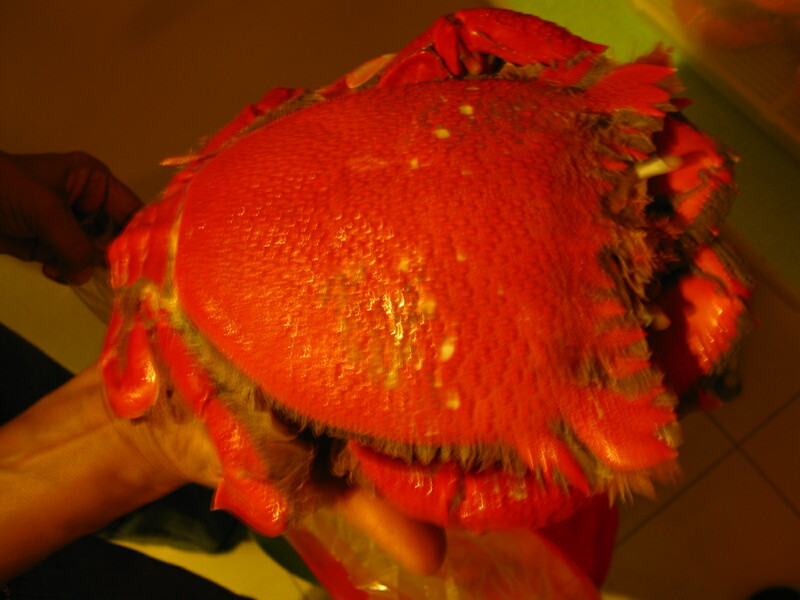 I remember the last time I ate a curacha (a variety of crab found in Southern Philippines, especially in Zamboanga), I was sent to bed ASAP when I puffed into this red, runny-nosed creature who couldn’t breathe properly nor scratch her skin to her heart’s content. But, oh, how I loved the sweet, meaty taste of crab! Did I regret eating curacha, with all the discomfort it gave? Not at all! But not all sea products trigger my immune system. 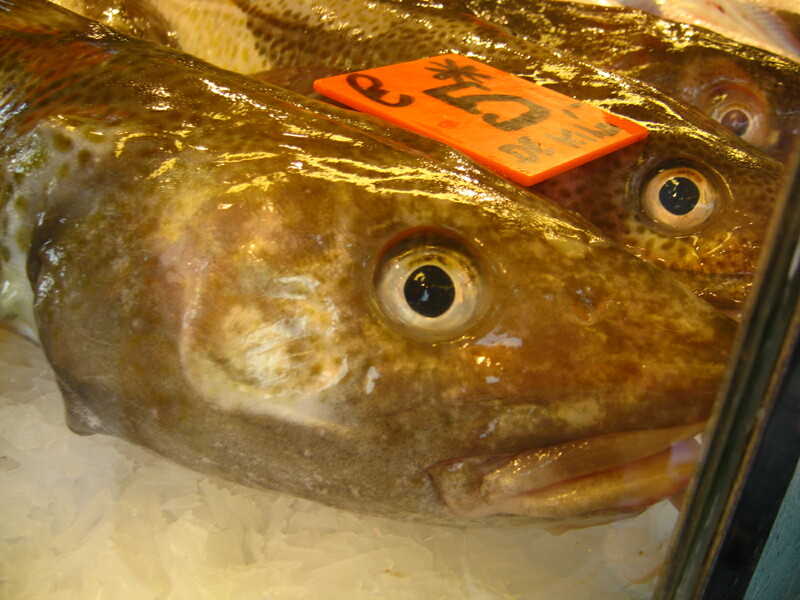 Fish, as long as fresh and has low histamine content (depending on the species/variety), I can take. Alas, living here in Europe has limited my choices when it comes to sea products. 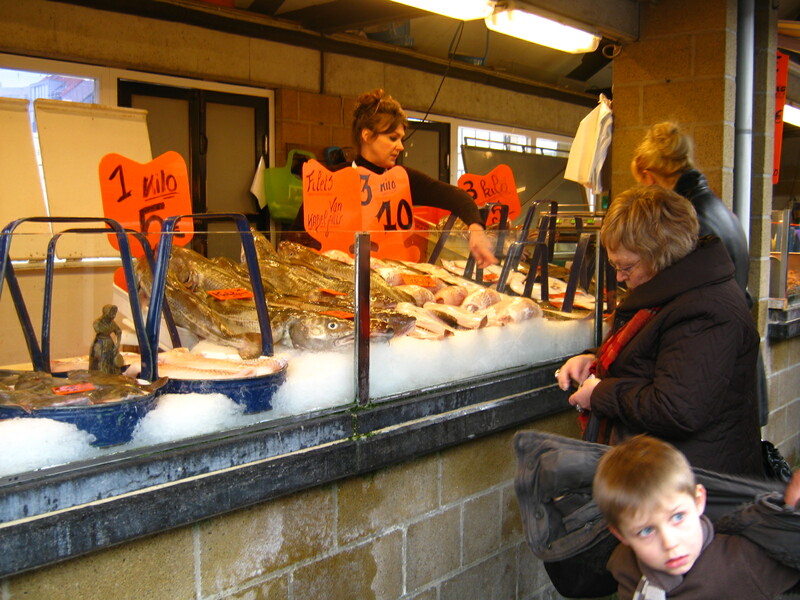 The only kind of fish I see here are deep-frozen square fillets of salmon, Alaskan pollack and cod (kabeljauw). Deep-freezing fish does keep it from spoilage, but the taste isn’t quite as good as fresh—and don’t get me started on shellfish! The ironic thing here is that fresh fish costs more than deep-frozen ones. Back in Manila, it is the other way around—fresh fish and seafood is practically de rigeour and cheaper than going to a supermarket and picking up something frozen. Seeing these beauties, fresh and clear-eyed from the sea…made me miss Manila a lot. 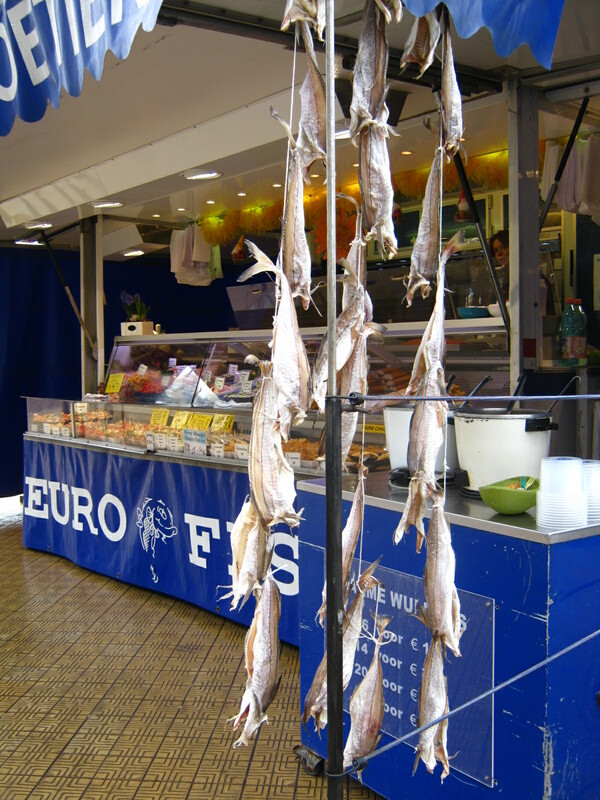 But then again, I’ll settle for deep-frozen ones for now—for a grad-student-on-a-budget, this is the most practical choice, than to shell out more euros for fresh fish which you can’t finish, even during Lent. – Camila might accuse me of thinking zebrafish = dilis when they suddenly disappear from the tanks. – I just know our local bacalao (bangus/milkfish)…haven’t tried the real one with cod. You know what I saw in the local supermarket here? Tilapia filets! Rewe is selling them now under their house brand. I hope it’s cheaper. I think last time I bought it they sold it for like 4 Eur for a package. Mahal!! !